Posted October 12, 2016 by Christian Bone & filed under Previews. Cheer up, Doctor Who fans! Just because the TARDIS won’t be materialising on our screens this autumn doesn’t mean that there isn’t any great telly to watch over the coming months. This new supernatural comedy-drama comes from the mind of Howard Overman (Merlin, Atlantis, Dirk Gently) and pokes fun at the usual tropes of the genre. 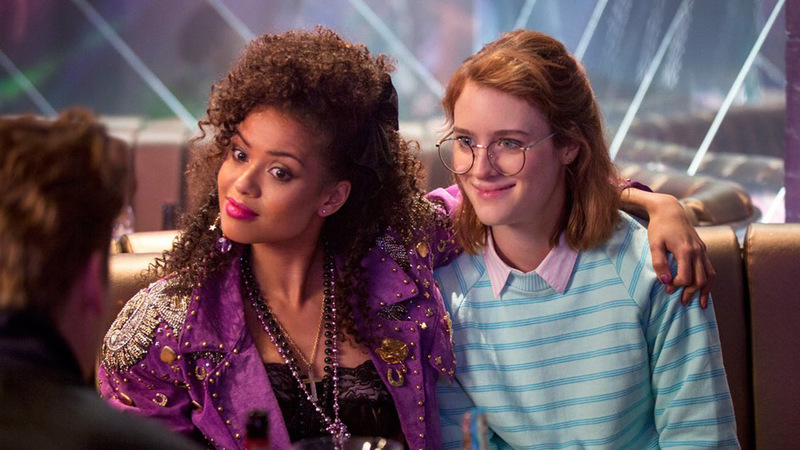 In Crazyhead, there is not a Chosen One destined to fight the forces of darkness but a Chosen Two – two very different young women (Cara Theobold and Susan Wokoma), who are the only ones who can see the horrible demons that walk the earth. Starts at 9pm on Wednesday 19 October on E4. If you like old-fashioned adventure shows and movies, you’ll love Sky1’s Hooten and the Lady, a treasure-hunting action/adventure series from Hustle creator Tony Jordan. Starring Ophelia Lovibond and Michael Landes, it sees British Museum employee Lady Alexandra scour the globe looking for long-lost artefacts with rogueish charmer Hooten. Each episode travels to a new country – including Italy, Egypt and the Amazon. It’s not quite all of time and space, but it’s still pretty impressive! Airing at 9pm on Friday nights on Sky1. 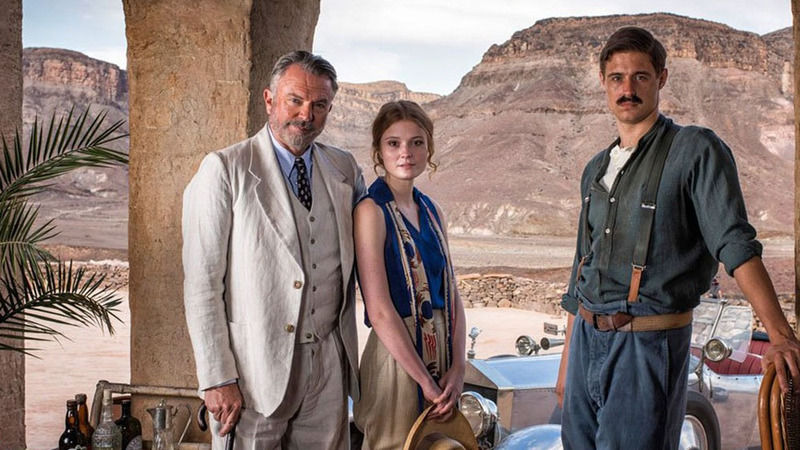 ITV’s new four-part historical mini-series is based on the discovery of – you guessed it – King Tut’s tomb by British archaeologist Howard Carter in 1922. Max Irons is playing the lead while none other than Jurassic Park’s Sam Neill plays Lord Carnavon, a wealthy adrenaline junkie who funds Carter’s expeditions. Doctor Who fans love a good trip back in time, so make sure to check this one out. Starts at 9pm on Sunday 16 October on ITV. Charlie Brooker’s sci-fi anthology series has been snapped up by Netflix for a third season, which means a bigger budget, famous guest stars and more episodes. Six new stories will arrive on the streaming service later this month. Among the guests are Hollywood star Bryce Dallas Howard, Ripper Street’s Jerome Flynn and Doctor Who alumni Faye Marsay and Gugu Mbatha-Raw. It’s sure to be top-quality TV that can’t be missed. Available to watch from Friday 21 October on Netflix. What better way to stave off the Who withdrawal than by watching a former Doctor? 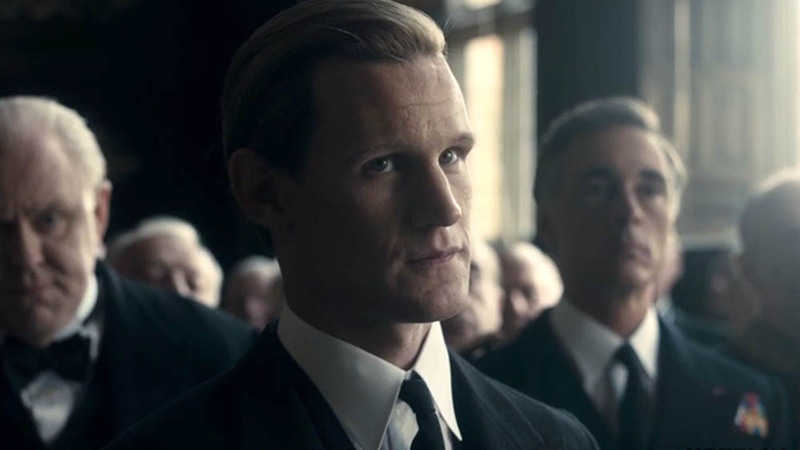 Matt Smith is playing Prince Phillip in Netflix’s The Crown, which stars Claire Foy as a young Queen Elizabeth, who must step up to the plate when the sovereignty of the kingdom falls on her shoulders. There’s no aliens in it, mind, but it should be still worth a watch. Available to watch from Friday 4 November on Netflix. Humans was the breakout sci-fi hit of last year and now returns for its highly anticipated second season. 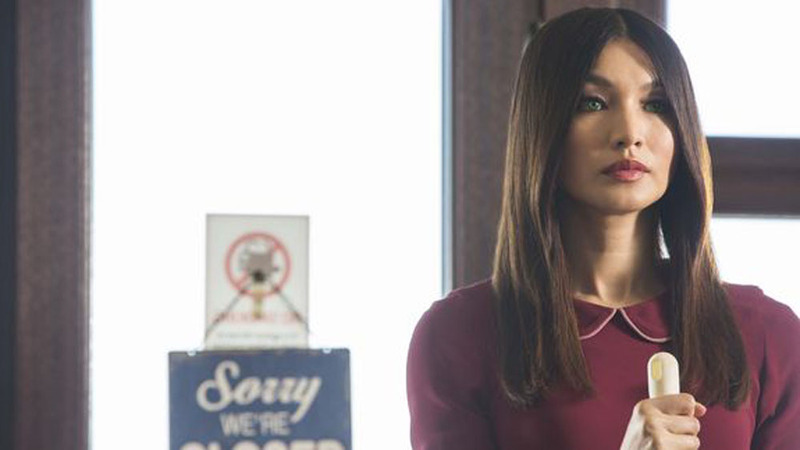 Gemma Chan (of David Tennant Who episode ‘The Waters of Mars’) returns as household synth Anita, with fellow Who-er and Merlin himself Colin Morgan among the supporting cast. The Matrix and Jessica Jones star Carrie-Anne Moss is also joining for Season 2. The sci-fi calibre of this one is off the charts! Starts at 9pm on Sunday 30 October on Channel 4. Another show will lots of cast crossovers with Doctor Who is horror/thriller anthology Inside No. 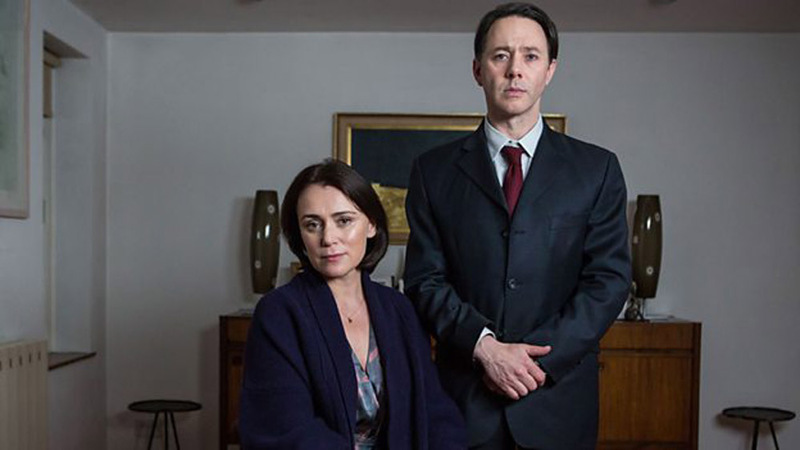 9, created by and starring Steve Pemberton (‘Silence in the Library’/’Forest of the Dead’) and Reese Shearsmith (‘Sleep No More’). The third season of BBC Two’s darkly comic half-hour anthology series will feature episodes set in the likes of a restaurant after closing time, a secluded ski lodge and an art gallery. Jessica Raine, Keeley Hawes and Felicity Kendall (all Who people) will guest. Starts late October on BBC Two. The world’s other favourite long-running eccentric British sci-fi show, sitcom Red Dwarf is back returned for an eleventh season. If you’re a Who fan and you haven’t seen the show yet, now’s your chance. 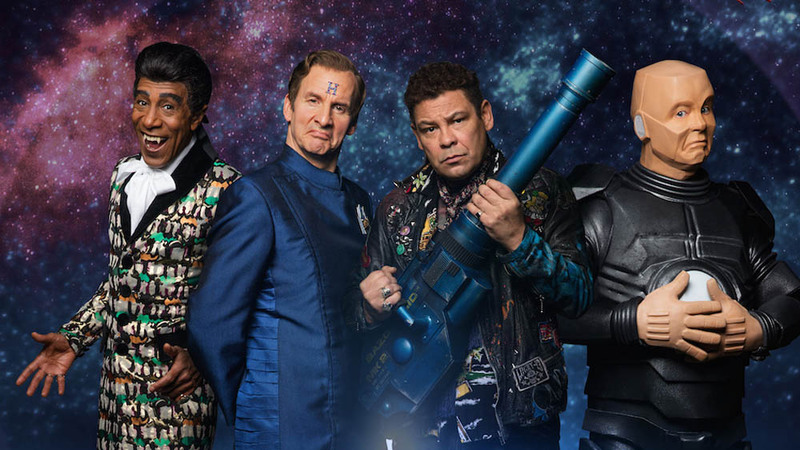 After Red Dwarf X restricted things to the ship, the new season is widening the scope once again and throwing Lister, Rimmer, The Cat and Kryten into new adventures in outer space and different time zones. Airing at 9pm on Thursday nights on Dave. 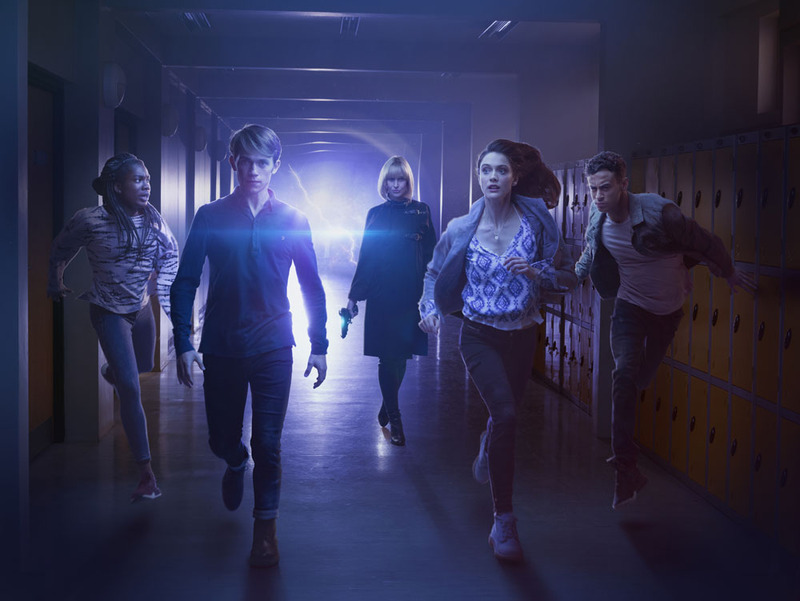 Naturally, the number one show Doctor Who fans should be watching this autumn is its latest spin-off, Class, detailing the timey-wimey lives of the kids at Coal Hill School. Written by popular YA novelist Patrick Ness and starring newcomers Sophie Hopkins, Greg Austin, Fady Alsayed and Vivian Oparah, the eight-episode first season premieres online on BBC Three very soon. Plus, the Doctor himself will cameo in the first ep! Available to watch from Saturday 22 October on BBC iPlayer. Follow Christian Bone on Twitter. Read more of Christian’s musings on TV, films and books over on his blog.